Defending champions England were comfortably beaten by top seeds Egypt in the final of the Men's World Team Championships in Marseille. 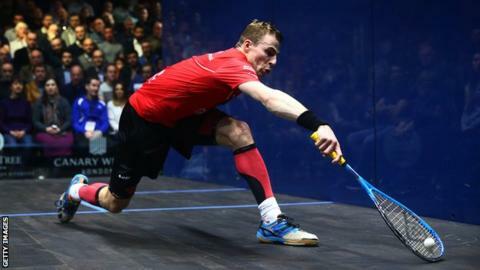 Nick Matthew appeared to be hampered by injury as he lost 11-9 11-3 11-7 to world champion Karim Abdel Gawad. Ali Farag then also beat James Willstrop in straight games to give Egypt an unassailable 2-0 lead, with Marwan Elshorbagy and Daryl Selby not required to play the final tie. Australia and Hong Kong shared bronze. "We came here to win gold but had to settle for silver," said three-time world champion Matthew on social media. "We knew we needed to be at our best and unfortunately we were some way off that - despite the loss, the biggest disappointment was not putting on a better show." The 2017 men's and women's World Championships take place in Manchester from 9-17 December. "Hopefully we can bounce back as individuals whilst also doing our country proud in Manchester," said Matthew.